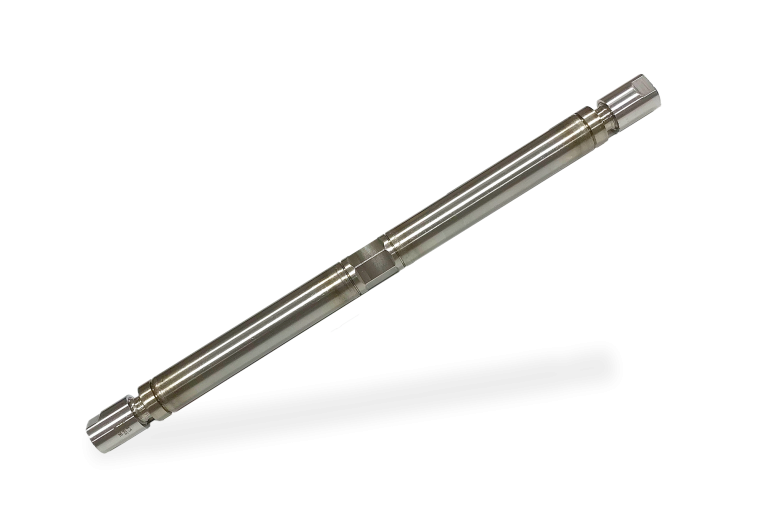 GEO PSI manufactures various 4mm cold formed, tungsten-inert-gas-welded downhole instrumentation cables. When compared to stiff, outdated 1/4″ cables there are many benefits which improve reliability and data integrity. When compared to 1/4" cables with similar wall thickness, our 4mm TEC saw over a 320% increase in maximum crush force. 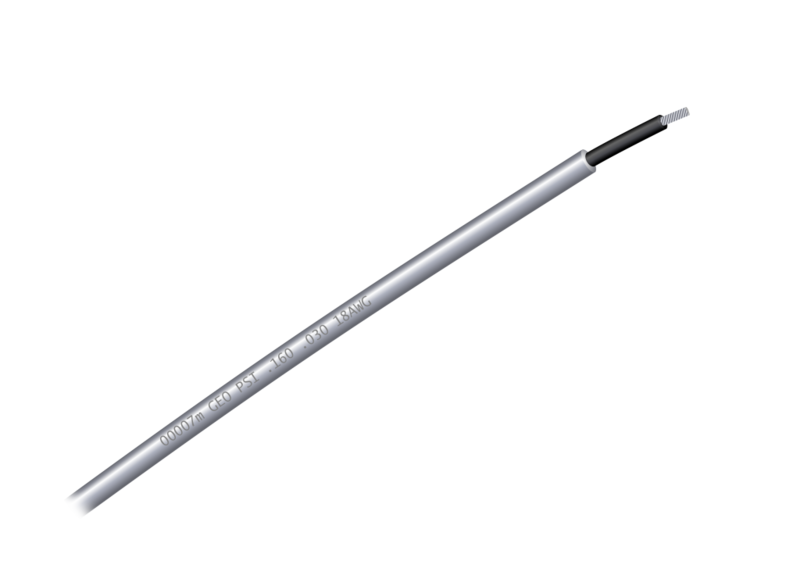 With 1/4" cables that had an over 60% greater wall thickness, our 4mm TEC still out performed them by over 4000 ft lbs. 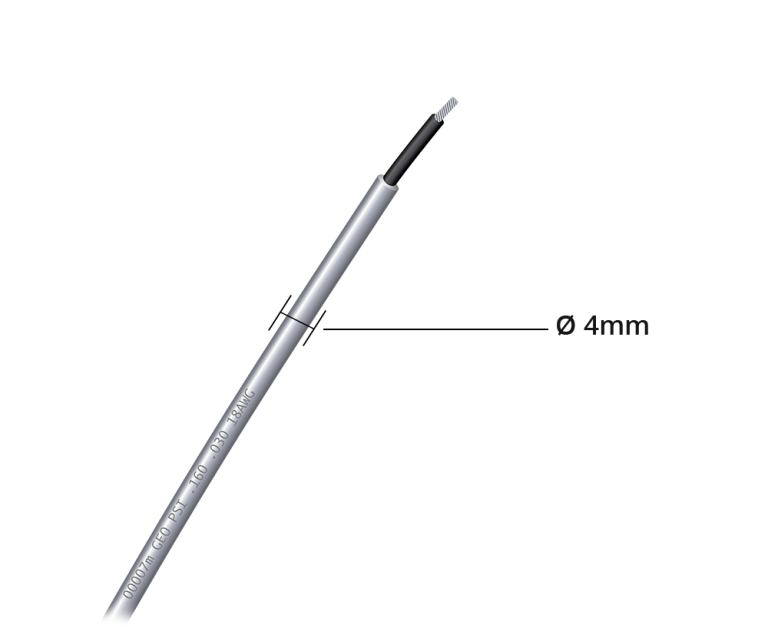 With a narrower overall diameter, as well as a thinner outer casing, our 4mm TEC is much more flexible than stiff 1/4" cable. This is true for both our bare, and round encapsulated cable. Being able to reduce the overall diameter of our TEC results in significant weight savings coming in at a mere 0.051 lbs/ft. 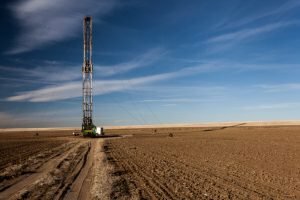 This reduced weight becomes particularly significant for deep wells. 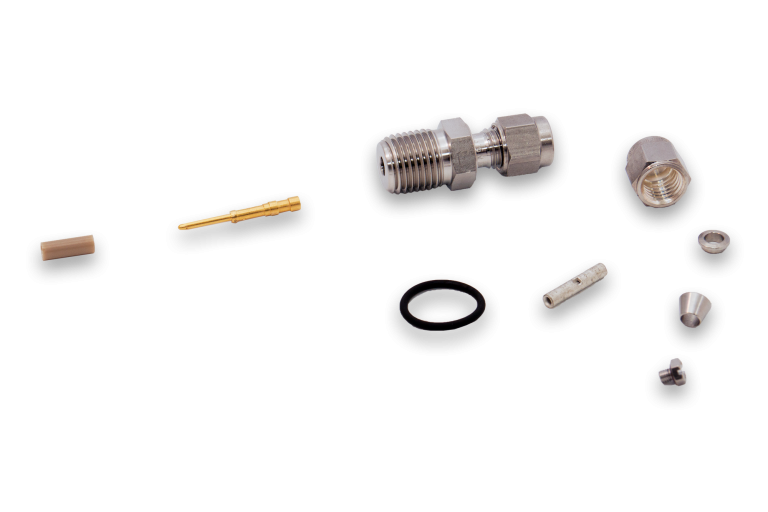 We offer our advanced 4mm TEC in both bare and encapsulated variants. 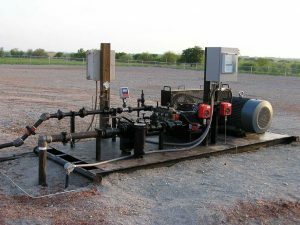 Both offer superior reliability and data integrity, and are tailored for different applications. 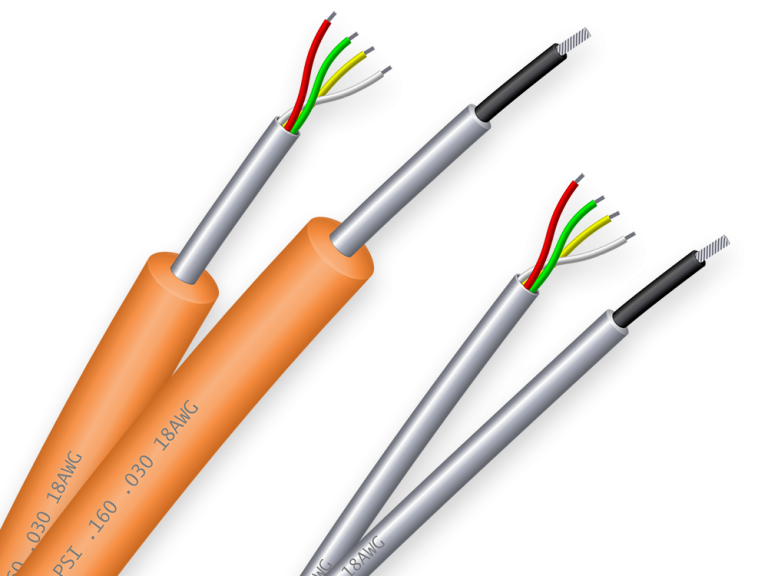 We often recommend Encapsulated Cable for especially long deployments. 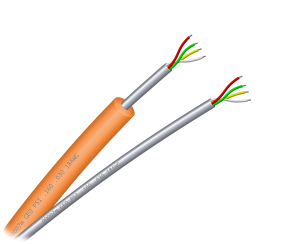 The polypropylene encapsulation acts as a bumper and improves survivability of the cable during deployment of the system. 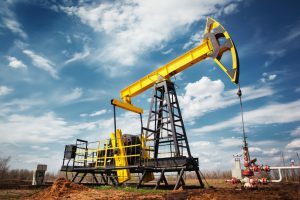 For cemented-in applications some customers prefer bare cable, citing that they are less concerned about channeling or bonding issues. Bare cable also maintains a smaller diameter, and lower weight per foot. 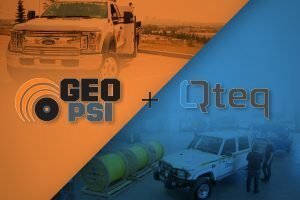 At GEO PSI we opt for round encapsulation of our TEC. This choice was made after our testing concluded that a round profile proved superior in almost every way. Round encapsulation lasts longer, and uses less material. 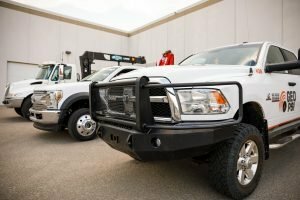 This means less time and money wasted on maintenance and repairs, and a significantly lower material cost per foot. This results in a better performing product with an overall lower cost of ownership when compared to square encapsulated cables. 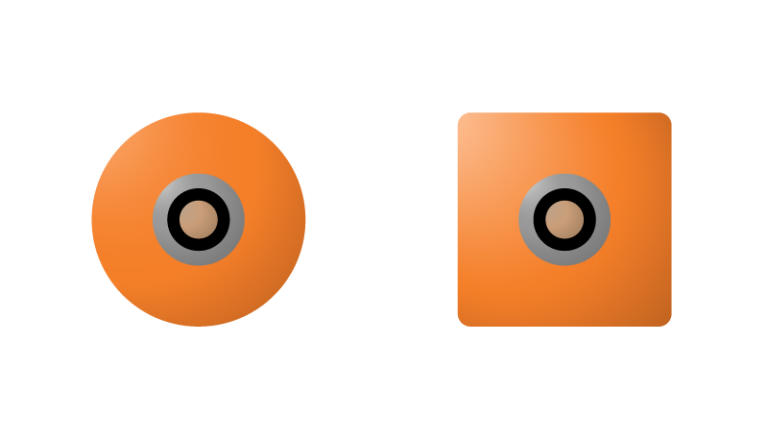 Due to the unique properties of the 4mm wire, keeping it concentric (centered in the encapsulate) is much more difficult, especially with square encapsulation. 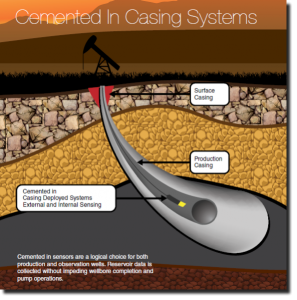 By opting for round encapsulation we are able to simplify the manufacturing process. This results in a more consistent product, lower manufacturing costs, and shorter lead times. All other things being equal, round encapsulation results in a significantly lighter product when compared to square encapsulation. For a cable with an 11mm encapsulation, round has a weight savings of ~11% and a materials saving of ~13% when compared to square. This reduction in material and weight makes a big difference when handling the product in the field. 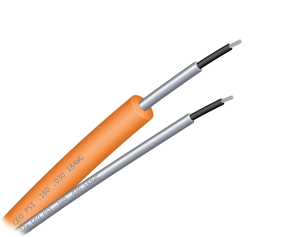 Our testing has proven that round cable is up to 40% more flexible than square cable. A round cross section provides equal resistance to bending across all axis as a result of its consistent thickness. Square encapsulation on the other hand has varying resistance to bending as a result of its varying thickness. The increased flexibility of 4mm TEC, paired with a more flexible round encapsulation makes for a product which is extremely easy to handle and manipulate in the field. In theory, round and square encapsulated cables behave identically when a crush force is applied to them. Simulations show similar behavior, and similar amounts of force applied directly to the encapsulated wire. In practice however, due to the extreme difficulty of keeping the wire concentric in a square encapsulated cable, forces are applied unevenly to the wire itself. This means that in practice, round encapsulation provides a much higher, and more consistent crush strength rating. Square encapsulated cable has a tenancy to twist along the axis of the wire when deployed and retrieved from the well. This twisting increases both the volume needed on the reel, and the frictional forces applied to the cable. Even if it were to twist,round encapsulated cable does not increase volume on the reel, or frictional forces applied to the cable. Friction is a function of weight, surfaces in contact (roughness), and speed of deployment or retrieval. Square encapsulated cable weighs more, and has a rougher surface (due to twisting) resulting and more friction and wear. 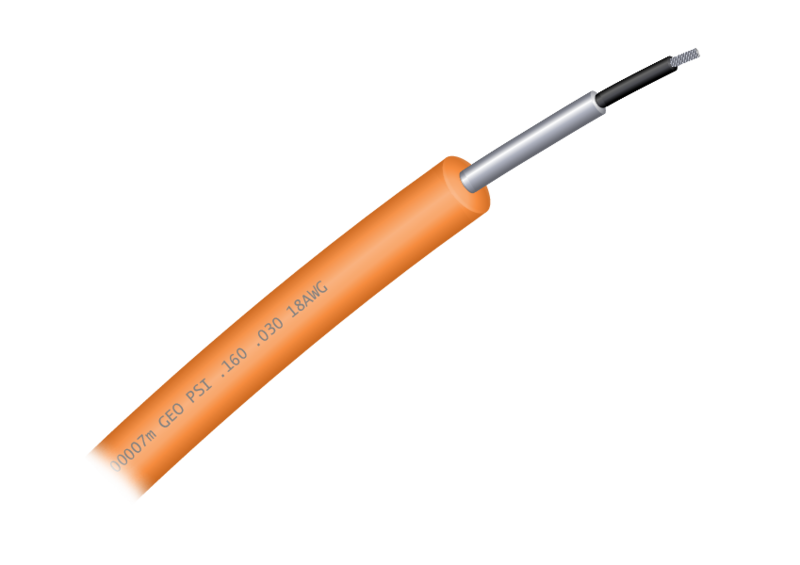 The reduced dynamic friction of round encapsulation makes for less wear, and therefore a greatly increased operational life of the cable. From the factory both round and square encapsulated cable lay perfectly on the reel. After deployment and retrieval, the cable can become twisted and jumbled. Twisting forces on the square cable can reduce flexibility making it harder to manage, as well as cause the cable to take up more space on the reel. 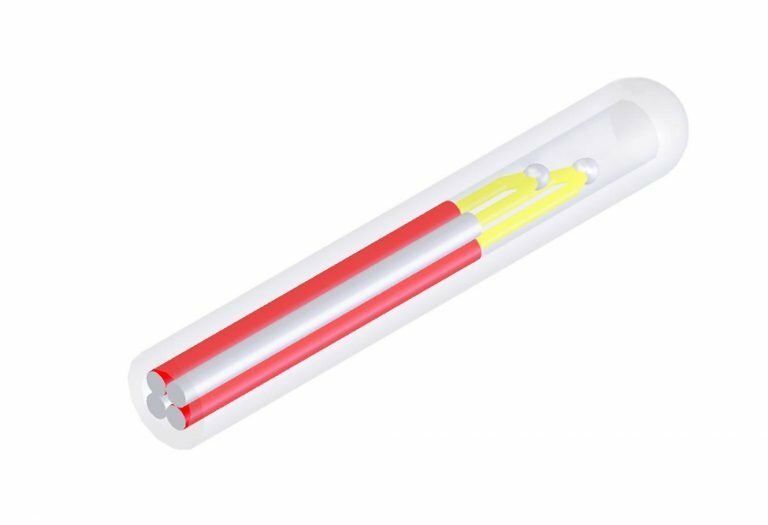 Round encapsulated cable is much easier to manage during deployment and retrieval as it does not suffer from the same issues of twisting and frictional forces as square cable. 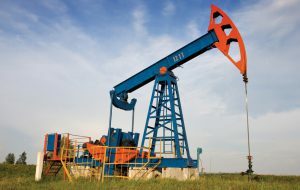 A reliable and cost effective alternative for high-temperature downhole measurement. Featuring an innovative design that enhances installation reliability. 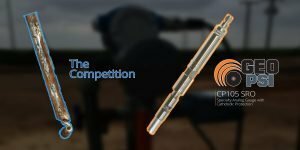 A highly reliable and cost effective alternative for high-temperature downhole pressure measurement. 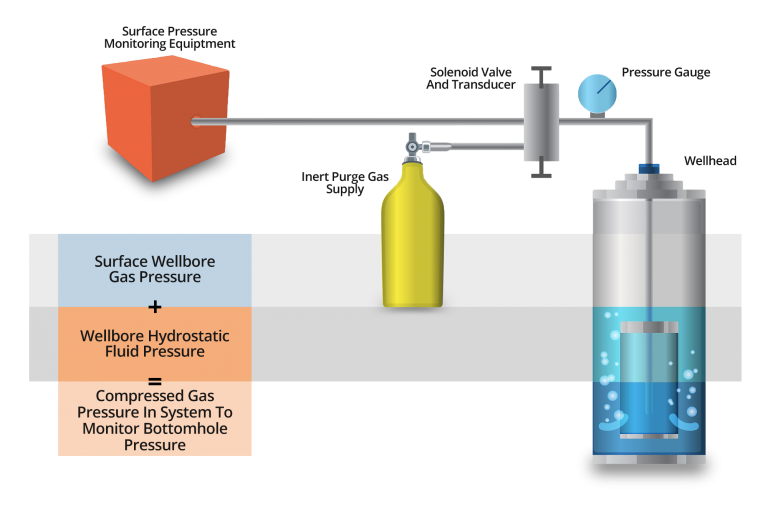 This tried and true technology is low maintenance, and has an impressive track record of success in wells exceeding 300°C. What makes our TEC special? We manufacture all of our TEC in our Canadian production facility to ensure the highest level of quality and durability. 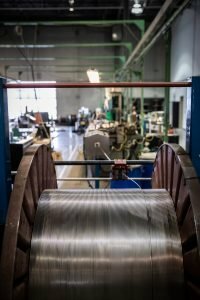 Through both continuous manual and automated quality control process we make sure that every length of cable has been tested to the highest standards possible. Our patented Easy-Connect cablehead system was designed specifically for use with our 4mm TEC. 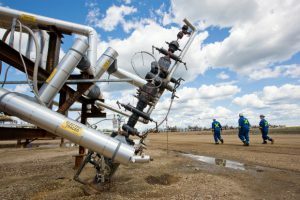 It makes for a durable positive connection in the field, reduces installation time, and increases the reliability of of the system. If cabling needs to be cut or repaired in the field our cable splice may be used. Featuring the same easy connect cablehead as our gauges, these splices ensure the strength and integrity of the cable. They are also small enough to be re-spooled with the cabling if needed.